With a backdrop of concern about US protectionism and a possible abandonment of the 23-year old strong dollar policy, and among the weakest sentiment toward the dollar in at least a decade, the ECB takes center stage. 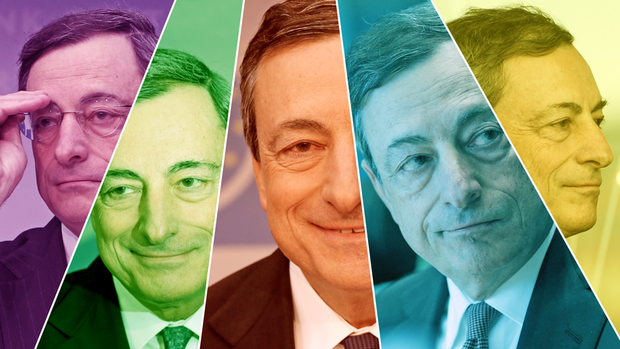 What a turn of events for Mr. Draghi, the President of the European Central Bank. A year ago today, the euro was traded between $1.0710 and $1.0770. There were profound concerns that the populist-nationalist wave that spurred the UK to reject the EU in a referendum and ushered in a colorful real estate magnate turned television icon as president of the United States, would sweep across Europe in a series of elections. Moreover, the structural challenges of a monetary union without a fiscal union and an incomplete banking union at that weighed on investor sentiment. A year later, the euro is approaching $1.25, and more importantly, continues to trend higher on a trade-weighted basis. Its trade-weighted index appreciated by 2% since the middle of last month and is up 10% since it was clear Macron was going to win the first round of the French Presidential election last April. Greece is making good headway to exit its third assistance program since 2010. And the monetary union is likely to continue to gradually grow. Mr. Draghi, meet too much of a good thing. The appreciation of the euro is blunting some of the accommodation the ECB is continuing to provide. The rising euro dampens price pressures, slows growth through exports, and shaves corporate earnings. That said, the magnitude of the impact still seems marginal, though no less undesirable. Before the monetary union, Europe consistently mostly of small open economies. Open refers to the importance of the external sector. However, in essence, the monetary union created a larger and less open economic bloc. The 10% appreciation of the euro on trade-weighted basis may have the overall economic impact of maybe as much as 120 bp of tightening. However, part of the euro's appreciation is not undesirable. It had fallen sharply from the middle of 2014 (~$1.40) to the start of 2017 (~$1.0350). A break in that powerful downtrend helpful to avoid a potentially vicious cycle. The region's macroeconomic fundamentals improved. As Draghi recently emphasized, the economy is enjoying a broadening expansion, having evolved from an economic recovery. At the beginning of last year, the euro was around 25% below what the OECD calculated as its purchasing power parity. With the euro near $1.24, the OECD estimate puts it 8% under-valued. The major currencies rarely go beyond +/- 20% of the OECD's PPP. Draghi's overall message is unlikely to change much from last month. Inflation is expected to continue to rise gradually, and the risks to growth a broadly balanced. The ECB's asset purchases were necessitated by the inflation mandate, and the purchases will continue until inflation is judged to be on a self-sustaining and durable path toward the target. That means that the can be no commitment at this juncture to stop purchases in September. This pre-commitment is what several hawks appear to have been advocating. Draghi may go a little beyond ECB Vice President Constancio's point about concern about the impact if the euro's appreciation exceeds fundamental developments. He may express concern about the volatility of the euro, and how while the ECB does not target it directly, does feed into the staff forecasts for inflation and growth. By keeping the purchases to the data instead of a date and suggesting that the large changes in the euro's value will alter that data, Draghi can keep the door ajar to a policy response, but to do much more may be beyond even Super Mario.